Welcome to Casting Cares Ministries Inc - Prophetic Ministry to help you find faith and healing through Jesus Christ our Lord and Saviour. In 1989 I (Bill) was called to go to bible school, I went for 2 years. In 1991, after I completed school, I said to God: "Here I am Lord, please let me know what you want me to do." 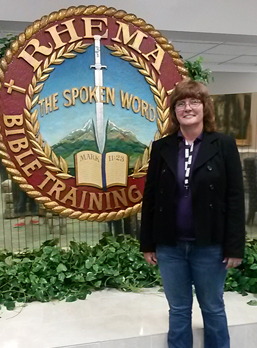 The Lord said: "You can't do anything until Shirley finishes bible school." He said: "Yes, because the ministry is hers. You will help Shirley." I approached Shirley with the question: "When are you going to bible school?" She said: "Not now, not ever." I said to her: "Not even if God speaks to you?" She said: "He would have to speak very loudly." I told God: She isn't going. He said: "She will go; not according to your plan, but according to Mine." I said: "Fair enough." I trust you Lord. True to His word, in 2011, Shirley said: "I'm going to bible school." She went to Bible School for 4 years. When she completed bible school, she was ready to minister in the gifts of the spirit concerning healing. Shirley and I went on a mission journey and the Lord spoke to our hearts to minister to people. We told God that if he wanted us to minister that he would need to provide funds to get started. Within a few days a man that we know called us, and gave us the whole amount we needed to start this ministry. Bill operates in the prophetic realm, through word of knowledge. Most of the words of knowledge are for people he has just met and knows very little about. Shirley is gifted in the prophetic. Shirley can see into people's lives and into their hearts. God reveals things to her about how to help them be set free. She operates in dreams, visions and supernatural revelations. She teaches faith and Jesus Is Your Miracle Worker. 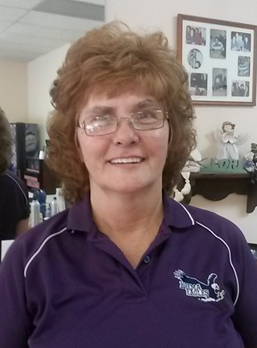 Shirley was diagnosed with Multiple Sclerosis. She found that she couldn't take her medication because of side effects. She said, "The MS wants to have me, but I wont have it." Since then the, MS has not progressed. One time she had a relapse,That was when she learned to cast her cares on Jesus 1 peter 5:7 and He healed her.